The travel plans of the IMTBIKE Guides. 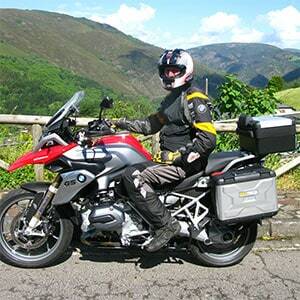 Are you planning your motorcycle trip this summer? we have asked our guides and this is what they have told us they will do, maybe these trips can inspire you! IMTBIKE has always wanted to visit Japan and have a Global Tour there. The golden opportunity arose thanks to Moto Tours Japan along with the Japanese government. New Tour, new Whatsapp group, Facebook posts, Instagram, video editing.. Guys please send me pictures of smiling people, more food shots, more motorcycles, more landscapes, interviews, architecture, better approaches…. Does this ring a bell IMTBIKE guides? Phone notification, “new email”. I nervously open the inbox and there it was at last, the manual, the bible. Finally the guide book for what was going to be my first tour with IMTBIKE had been sent to me. My first “Best of Portugal” tour!By Paulo Oliveira. It was a dream come true when Scott offered me the opportunity to be the support guide on my first IMTBIKE tour. And for my luck, it was going to be on the Best of Portugal tour.